You want to know more about Phineas and Ferb Backyard Defense? 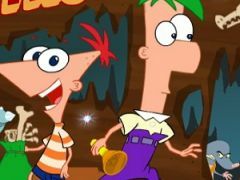 We know that you boys always have such a good time playing these cool adventure games within the latest added category with Phineas and Ferb, that's why we truly recommend you to try this newly added game Phineas and Ferb Backyard Defense, a game where you'll get the amazing opportunity to help out two of your most beloved kids from the cartoon series Phineas and Ferb, to fight against the evil Dr Doof's creatures. 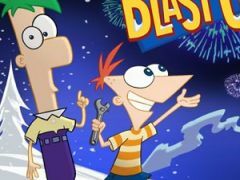 Dr Doof has sent out his evil minions to attack the backyard of Phineas and Ferb's house, but the boys won't quit that easy and they've built and prepared themselves with all sorts of weaponry that you boys need to place through the backyard, in order to face the attacks of the monsters. 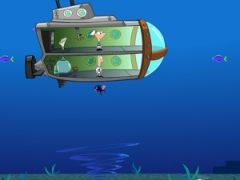 Phineas and Ferb Backyard Defense is an amazing game and it only requires you guys to use the mouse cursor and place the special weapons made by Phineas and Ferb through the backyard, and watch them destroy the evil creatures sent by Dr Doof to destroy the two boys, and their secret agent platypus pet named Perry. 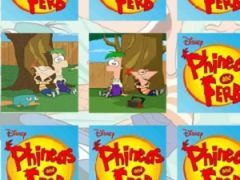 Good luck playing this amazing adventurous game Phineas and Ferb Backyard Defense, and make sure you try every new game within this particular category, because we can assure you that we will only add the best Phineas and Ferb games, as promised! You want to find more about Phineas and Ferb Backyard Defense? The Phineas and Ferb Backyard Defense game has part from Phineas and Ferb Games. This game is played by 51 times, have 1 votes (1 likes and 0 dislikes) and his added 24 March 2019.